H.H. Lomax never claimed to have won the West, but he sure made it fun through his intriguing memoirs of offbeat encounters with many of the frontier’s most enduring heroes and scoundrels. Starting with Billy the Kid, Lomax knocks some of the Old West’s biggest legends out of the saddle with both his wit and his wits, providing a hilarious romp over new trails through familiar territory. After a murky incident involving the killing of a Colorado lawyer, Lomax rides into New Mexico Territory in 1877 astride his mule Flash and soon finds himself roped into a band of rustlers until Billy the Kid drafts Lomax as the first member of his own gang. 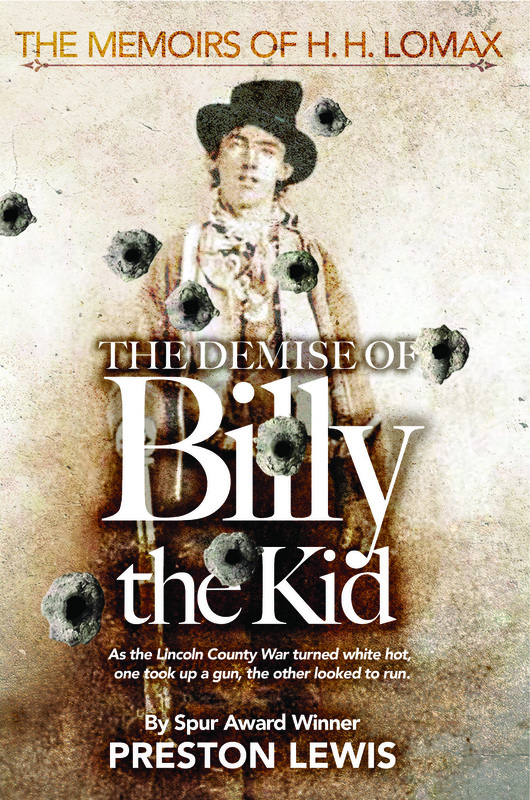 Though their trails soon part, Lomax and the Kid cross paths time and again as each in his own way navigates the corruption and violence of the Lincoln County War. Each survives until they both take a liking to the same hot-tempered señorita. At least that’s how Lomax tells the story! Whether you believe him or not, Lomax is sure to entertain anyone who takes up his trail of calamity and hilarity as he stumbles across some of the biggest names of the Old West. Written by Spur Award-winning author Preston Lewis, a master of western plot twists and humor.